Further escalating the legal war between the two companies, Apple on Wednesday launched a U.S. countersuit against Qualcomm, charging that the latter's Snapdragon processors —found in many Android phones —are in violation of at least eight patents. 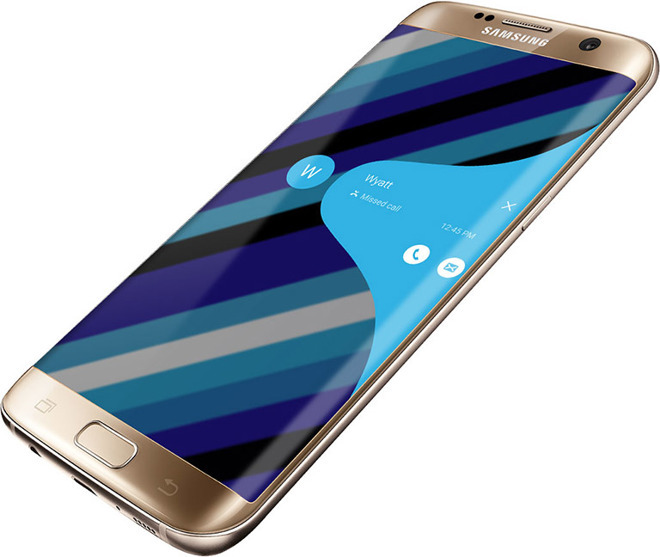 A phone with Qualcomm's Snapdragon 820, the Samsung Galaxy S7 Edge. Apple initiated the action as a revised response to a Qualcomm suit, according to Reuters. In July, Qualcomm accused Apple of infringing several patents related to optimizing battery life. The Apple countersuit makes similar allegations, specifically saying that Qualcomm's Snapdragon 800 and 820 chips violate patents related to reducing power consumption through improved sleep/wake functions and shutting off parts of a processor when they're unnecessary. "Apple began seeking those patents years before Qualcomm began seeking the patents it asserts against Apple in this case," company lawyers said in a filing with the U.S. District Court in San Diego. The iPhone maker is pursuing unspecified damages as compensation. Apple and Qualcomm are engaged in a number of worldwide legal actions, which kicked off in January when Apple sued Qualcomm for almost $1 billion in royalty rebates, allegedly withheld as retaliation for cooperating with South Korean antitrust investigators. Qualcomm has suffered financially as a result of Apple ordering suppliers not to pay royalties, though Apple is at risk of losing Chinese iPhone sales and manufacturing. Any issues could become moot if Qualcomm is successfully acquired by Broadcom. The former has so far resisted, but Broadcom is allegedly prepared for a hostile takeover and willing to spend well over $100 billion.